The Reverberation Appreciation Society, and its base, Austin Tx has become something of a mecca for music that explores the boundaries between traditional rock, pop and psychedelic music. 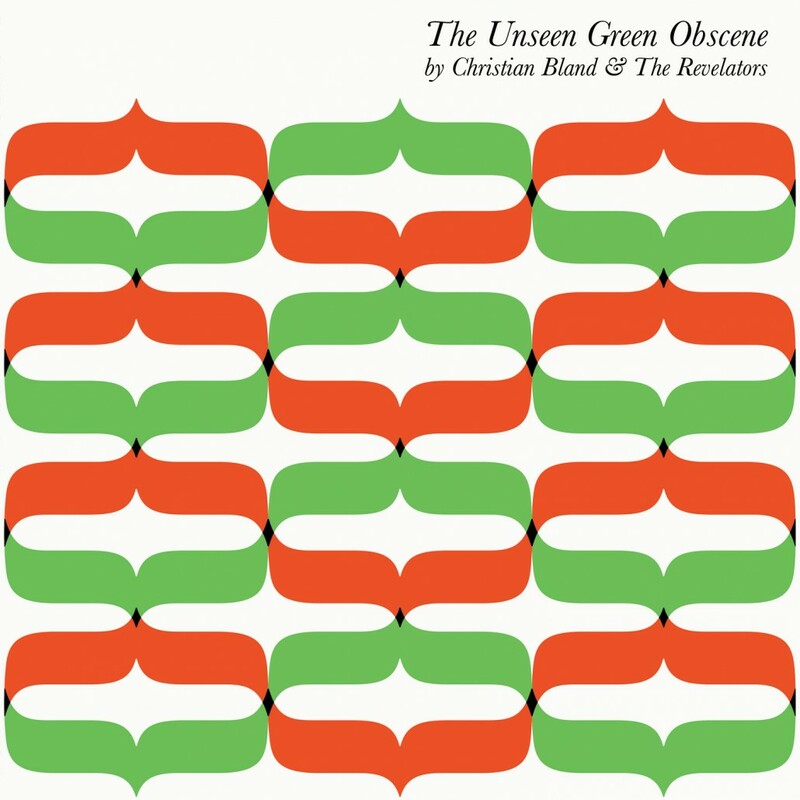 The label has already released Joel Gion’s album, Apple Bonkers to Soundblab acclaim this year, and they now release another ripper in Christian Bland and the Revelators third album The Unseen Green Obscene. Christian Bland is a member of The Black Angels, but the constitution of the present band is apparently an attempt to distance his core musical interests in the local Austin scene from the global reaches of the Black Angels. The term ‘side project’ is sometimes a euphemism for music of a slight or loose gestation, slapped together between tours of the artist’s primary band. Of course, there are classic examples of side projects which have arguably eclipsed the mothership band, such as Calexico, which started out as a side project for Giant Sand, The Breeders (Pixies), Atlas Sound (Deerhunter), Moderat (Apparat), This Mortal Coil (Cocteau Twins), and others which have taken on a life of their own, such as Grinderman, Shearwater or The Raconteurs. Christian Bland and The Revelators have created an album that at its organic core shares an affinity for the Black Angels, embroidered as it is with psychedelic rock influences, but Christian Bland and The Revelators seem to be more interested in the origins of the musical style, and less in the kind of ‘freak out’ rock passages which the Black Angels are renowned for. In fact, to demonstrate this, there are songs here dedicated to Brian Wilson, Bo Diddley and Syd Barrett, the latter more in the spirit of the music on this album. In fact, Piper at the Gates of Dawn could be a catalyst for the mood engineered for the album, although there is nothing like the giddy foolishness of ‘Bike’ for instance, the tempo on Unseen Green more sombre generally. If the Syd Barrett influence is obvious, at least to me, in the first three tracks, then the gurgling percussion of ‘Daughters of The Sun’ manages a musical cocktail with 13th Floor Elevators in the mixture, ensuring the music shakes, and stirs. Its one of the highlights. I wonder about Bland’s judgement in trying to imitate Brian Wilson’s voice. Doesn’t work for me, although its a minor transgression, particularly when it is followed by such a transcendent song such as ‘Guns for Guitars’, which strikes a chord for libertarianism in the face of second amendment firearms protection. ‘Alone in a Deer Park’ is a great, no really great track that feels as if it could belong on the International Artists 1960s singles roster alongside anything by The Red Crayola and Thursday’s Children. Even with some filler, there's 30 minutes of absolute killer on The Unseen Green Obscene, and that’s more than any psych fan can rightly expect. Christian Bland and The Revelators have taken on a life of their own.